For 6 grand - what civic would you buy? Just looking for your opinions. Just looking for a practical and somewhat fun to drive Civic to get me from A to B. Budget is 6 grand. What civic would you buy/recommend? 3) A 6th gen civic around 200k on the odometer as well. Opinions? Comments on reliability and "fun factor" as well please. Sorry, I meant lower mileage 7th gen civic vs. a higher mileage 8th gen civic. i think the ep3 would be really fun to drive because it has a fast motor and its compact. very fun car.. it's sporty, has amazing aftermarket support... andd its very simple to work on by yourself for maintenance like oil changes,fuel filter/distributor cap/rotor.. and is very easy on gas. and if you are looking into the ex/si/sir models they are loaded with power options that make driving them that much better.. Honestly, now, I would never spend 6 grand on a civic. I'd save most of that money and buy an older 5th or 6th gen civic, put some of the rest into making it handle and go faster, then save the rest and enjoy the fantastic fuel mileage. hell no. Ef with itr swap. duhh weight to power ratio. Honestly, if you plan on doing any modifications, get any civic that you like the look of, then swap suspension engine for the fun factor. In the end they are ALL slow in stock form. The EP3s and SIRs are ok...but still kind of slow [no offence Mike]. lol.. SOHC VTEC is fun enough for a car to get from point A to B... OP never mentioned wanting to swap anything... just wanted a reliable car that has a sporty feel, and hitting vtec is plenty sporty imo. depending on the price you get a swap for, and depending on what brand of suspension components you get, you will have extra money for items such as wheels, hids, amber corners, lip, sound system upgrades, or whatever else you want to do with it. Hey Robb... you're not selling the EF are you? If you were me, would you sell it ?? No offense taken. Though, I never said they were fast, just said they had similar performance numbers. Mugen, how can a stock car with ton of body roll feel sporty? Want a car to feel sporty, either swap components such as engine and suspension, or don't buy a civic. And granted, I had fun with my single cam but...love was lost when I got an ls. And love for ls was lost when I got a b20. I guess its what you are used to right? 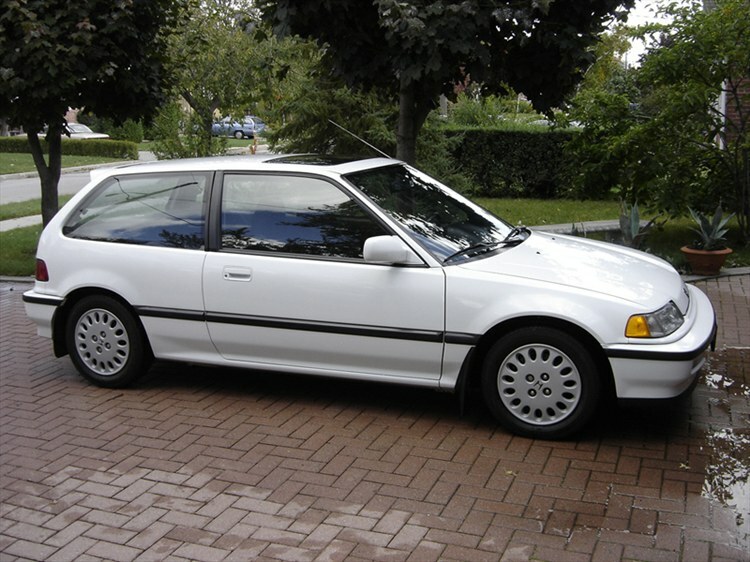 Quick Reply: For 6 grand - what civic would you buy?